Here’s our ultimate guide to avoiding the Walt Disney World crowds, including our 10 best tips and tricks for an incredible, crowd-free experience! It’s true, Walt Disney World is the most magical place on earth. Spend a day with two-hour-long lines for rides, quick service restaurants so packed you can’t hear the cashier, and crowds stampeding in front of your view at parades and shows. Things quickly become … a lot less magical. 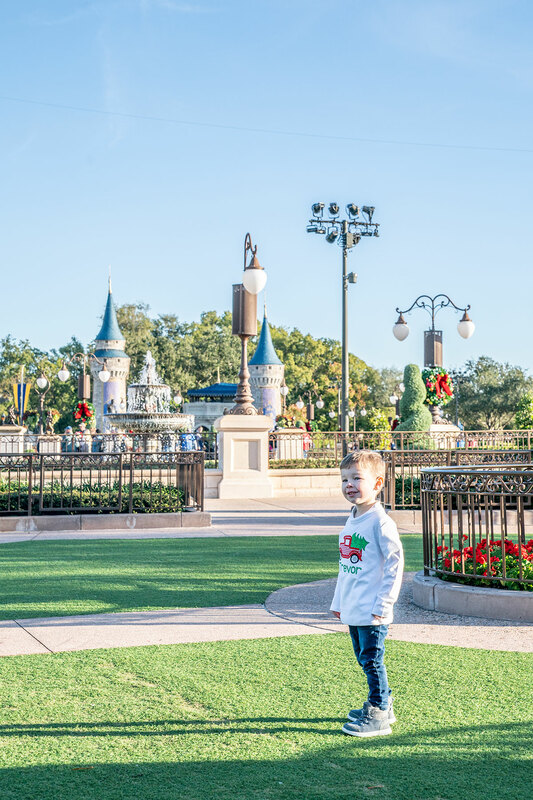 Chris and I have been to Walt Disney World more times than we can count and, along the way, we’ve figured out a lot of great tricks for avoiding the sometimes overwhelming Disney World crowds. 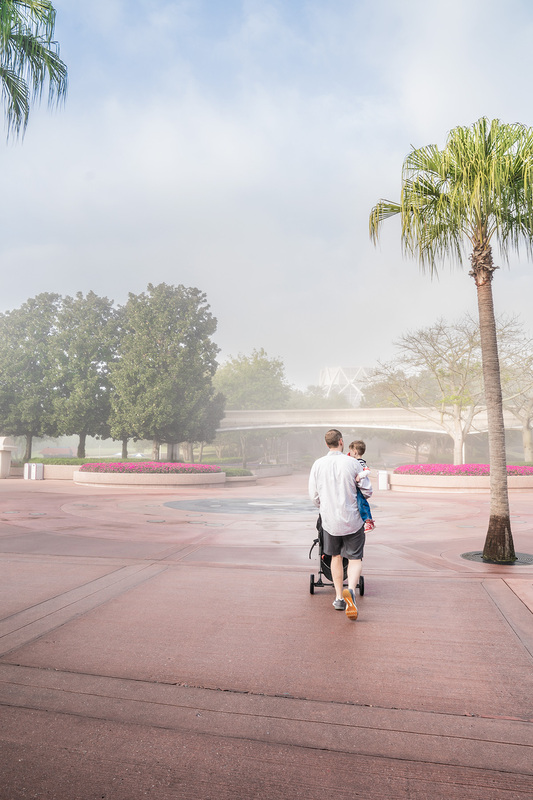 First things first: if you’re visiting Walt Disney World during one of the peak seasons of the year, you’re going to have an impossible time avoiding crowds! I’ve visited Disney World during Christmas vacation week, when it took me nearly an hour to simply exit the Hollywood Studios Fantasmic! show and get to my car. The crowds were that intense. So we highly recommend using this free calendar guide to Disney World crowds. It includes a color key for each day of the year, indicating whether crowds have historically been “Light” (30 minute waits for popular rides), “Moderate,” “Heavy,” “Wall to Wall,” or “Don’t Blame Me” (the park is so crowded you’ll barely be able to move). Another excellent crowd calendar, with far more detail, is historically very accurate. It rates each day of the year for each Disney World park on a scale from 1 (light crowds) to 10 (heavy crowds). It costs $15.95 to access the full year-long calendar. 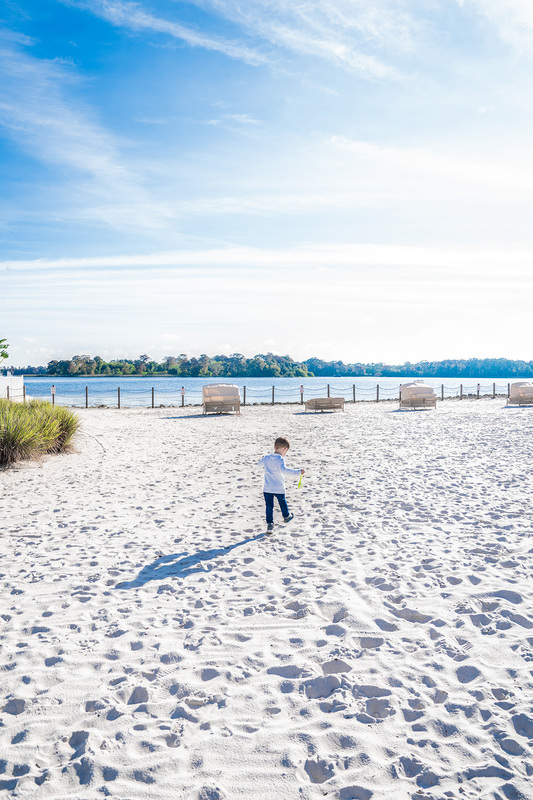 The number one way to avoid the crowds at Disney World is simple: check out the crowd calendars and plan your Disney trip for a week when crowds are light! My Disney Experience is the official Walt Disney World mobile app. There are so many useful features on this app that can help you avoid the Disney crowds. So make sure you download the app and know how to navigate it before your trip! 1.) You can book FastPasses, both before your trip and during your trip. If you don’t know about FastPasses, we’ll cover them in more detail below! 2.) During your trip, you can view current wait times for each and every attraction at each of the Disney World parks. So when you’re at the parks, you can target which rides to visit next based on wait times. 3.) During your trip, you can place online food orders for many of the quick service restaurants throughout each of the parks. So whenever you want a quick service meal, you can order ahead and skip the line! It’s not so easy to simply walk into a Disney World table service restaurant and promptly get seated. More than likely, you’ll have to wait (up to thirty minutes or more) for your table. Possibly, you might get turned away from popular and over-booked restaurants. There’s one solution to avoiding the crowds though. Just book your dining reservations in advance. You can check out dining options on the My Disney Experience app and book reservations that way. Or you can just use the Walt Disney World website. Reservations to the most popular restaurants can be really hard to come by, even months in advance! So we’ve found a lot of great success with the Disney World Dining Reservation Finder. How it works: you enter your email and phone number to create an account. Then you enter your ideal date and time for a specific Disney World restaurant. The site will send you both an email and a text when cancellations occur and your target date becomes available. We booked many of our Disney World dining reservations using this tool, since cancellations are happening every minute of the day! Last year, Chris figured out a really cool trick for getting us into the parks before they open to the public. Here’s how: book dining reservations in a park restaurant for the earliest possible time slot in the morning. The earliest possible reservations are actually for times before the park even opens for the day! I assume Disney allows guests to book dining reservations before park openings because there is such a high demand for reservations. But whatever the reason, we loved this feature! We booked an 8am character breakfast at the Crystal Palace in the Magic Kingdom one morning, although the park didn’t actually open until 9am. 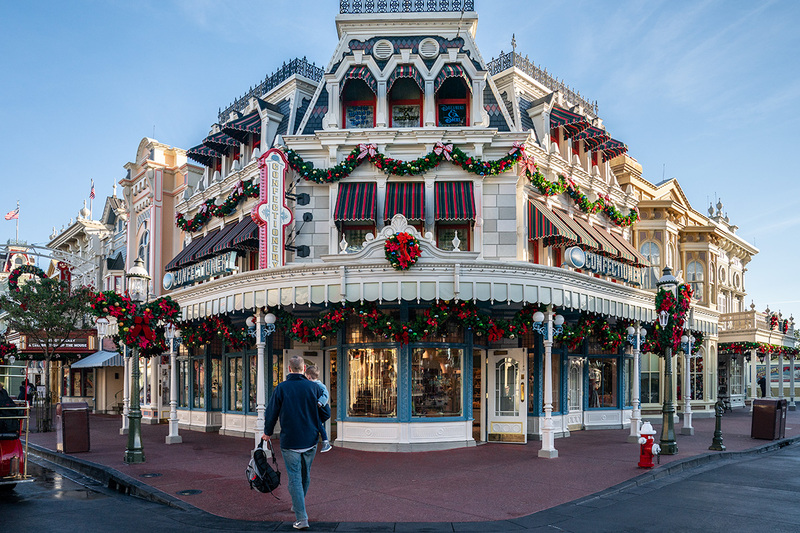 So we enjoyed the most stress-free and peaceful stroll down Main Street, taking in all of the incredible design detail we normally wouldn’t have even seen through all of the crowds! 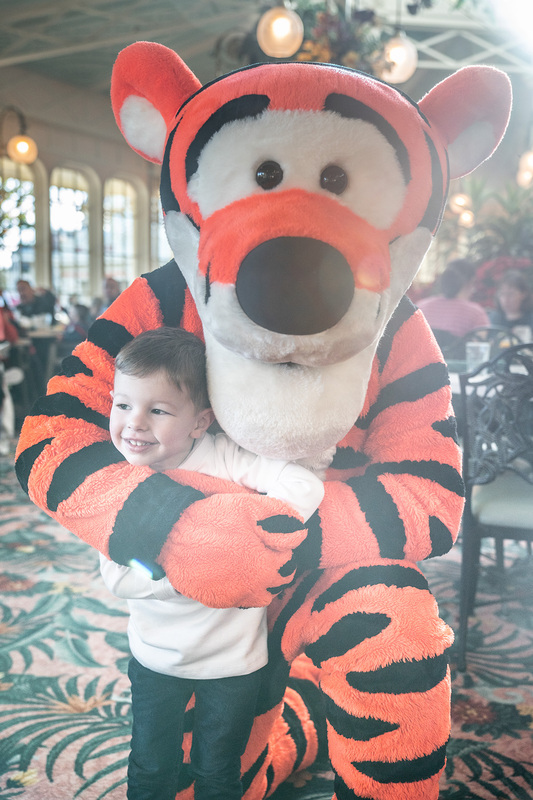 Read Our Complete Review of Our Early Morning Character Breakfast at the Crystal Palace in the Magic Kingdom. We also did the same thing for an early morning character breakfast at the Garden Grill in Epcot. Tru was able to run free, and I was able to capture some crowd-free photos. 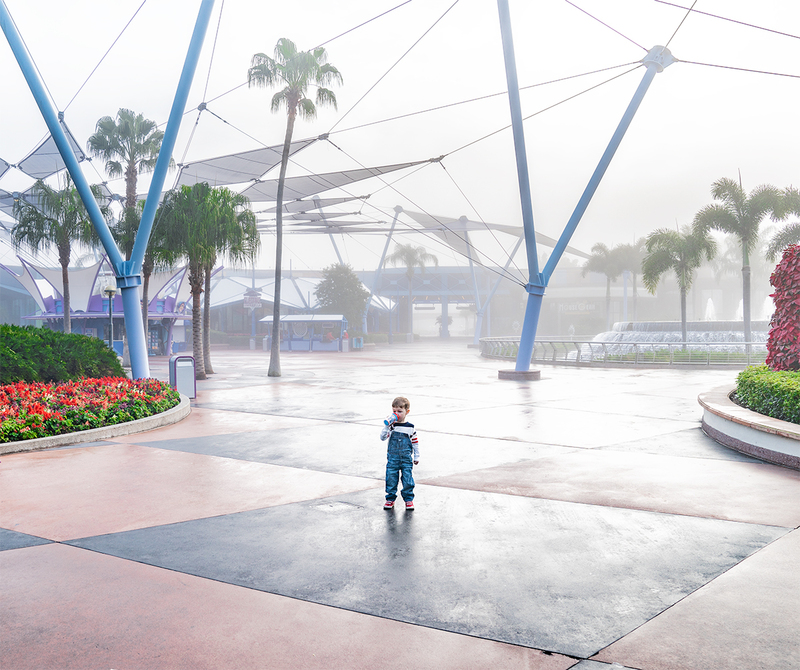 Of course, because the parks aren’t officially open, it’s not possible to ride any rides during these early mornings. But still, taking in all of the incredible design detail of a Disney World park – amidst perfect peace and quiet – is an experience I’ll never forget! They’re one of the major keys to avoiding long lines at Walt Disney World! FastPasses allow guests to skip the line for rides and character greetings. 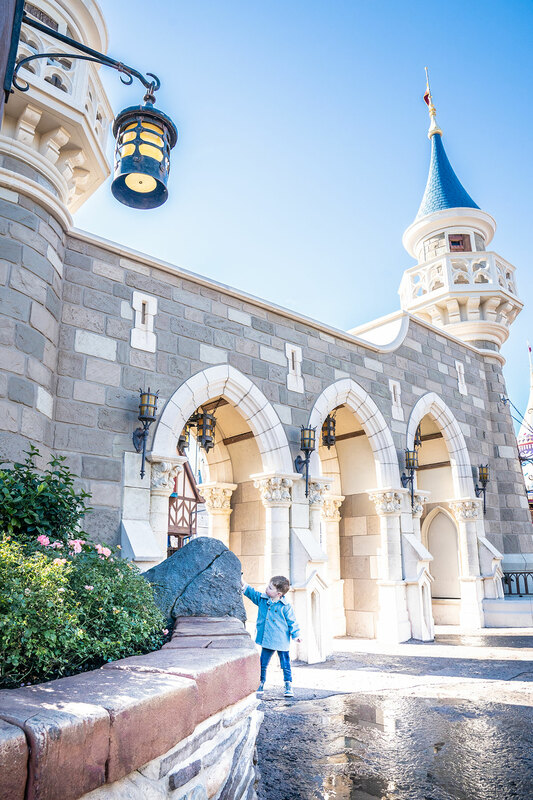 When you reserve a FastPass, you reserve it for a specific one-hour window of time on a specific day. So basically, you must plan your Disney World itinerary in advance to get the most out of FastPasses. Guests are permitted up to 3 FastPass selections each day. Guests who stay at a Walt Disney World resort hotel have a major advantage with FastPasses. They can reserve up to 60 days in advance. So obviously, all of the newest and most popular attractions are snagged by Disney World resort guests. FastPasses for the newest and most popular rides are snapped up really fast! As in, nearly as soon as they become available. So our best advice is to stay at a Disney World resort, plan ahead, and be prepared to purchase your FastPasses on the first morning (read: immediately at 7am Eastern Time) that your booking window opens. Important Note: Disney World resort guests can book up to 60 days in advance, but note that guests can book FastPasses for the entire length of their resort stay. What does this mean for planning purposes? You should book FastPasses for the newest and most popular rides for the last days of your Disney World trip. For example, let’s say you’re doing a 7-day Disney stay, from a Saturday to a Friday. At 7am ET on the day your booking window opens, reserve FastPasses for the newest and most popular rides on Thursday and Friday. Why? Because Saturday, Sunday, and Monday will likely already be booked from people ending their vacation the prior week. The nightly fireworks shows over Cinderella Castle in the Magic Kingdom are breathtaking, and unlike anything else on earth. However, they’re also (understandably) extremely crowded. Chris and I have spent many nights staking out a sliver of sidewalk up to 45 minutes before a fireworks show. And then we’ve still struggled to see over all of the crowds. Afterwards, of course, there’s also the stampede toward the exit. A much more peaceful and enjoyable way to take in the Magic Kingdoms fireworks: watch the show from a nearby Disney World Resort hotel! There’s security at each of the Disney World Resort hotels, so it’s best to book a dining reservation at the hotel of your choice. Time your dinner reservation for about 1 1/2 hours before the Magic Kingdom fireworks show is scheduled to begin. Disney’s Polynesian Resort – View the Magic Kingdom fireworks from the white sandy beach overlooking Seven Seas Lagoon. This is my favorite place to watch the fireworks. The views of Cinderella Castle and the fireworks are incredible here, the setting is gorgeous, and they even pipe in the Magic Kingdom fireworks show soundtrack. Disney’s Wilderness Lodge – Walk down to Bay Lake, directly beyond the Geyser Point Bar & Grill. The views of the fireworks are very good here, and the accompanying musical soundtrack is piped in through speakers. 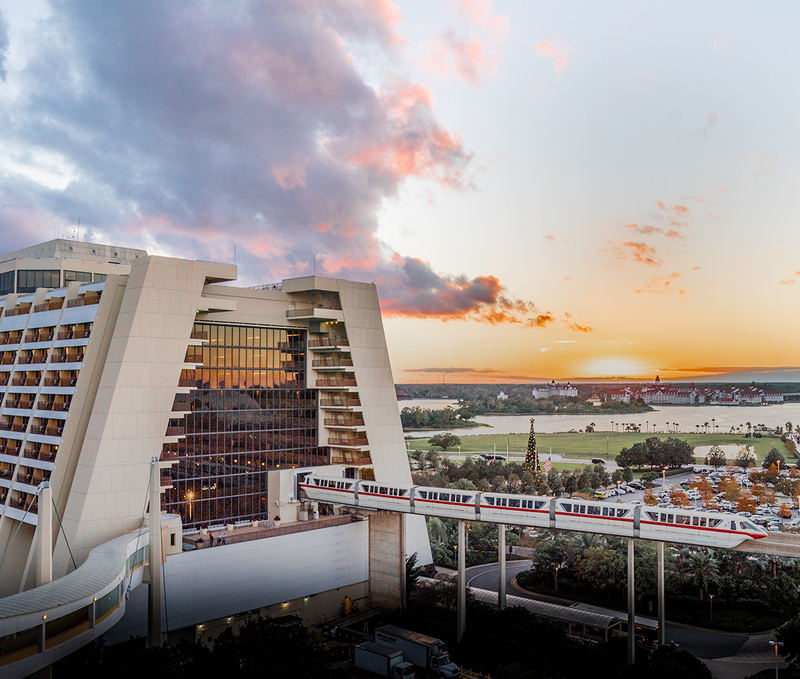 Disney’s Contemporary Resort – Book a dinner reservation at California Grill, which offers panoramic wall-to-wall, floor-to-ceiling views of the Magic Kingdom and Walt Disney World. Chris and I love the sweeping views of the fireworks from this restaurant, which is located on the top floor of the hotel. California Grill is also one of our favorite Walt Disney World restaurants in terms of quality of the menu and food. ‘Extra Magic Hours’ is a special feature available only to guests who stay at Walt Disney World resort hotels. 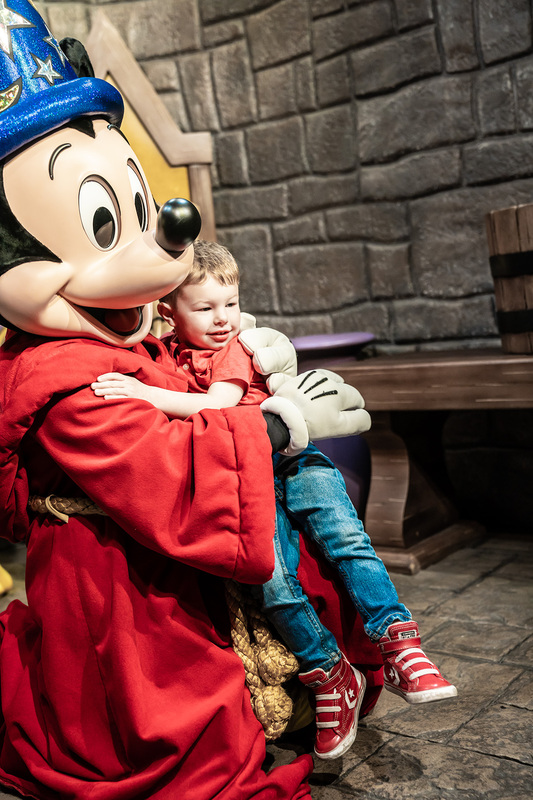 This special feature allows Disney resort guests to enter a specific Disney park one hour before the official opening on select mornings, and two hours after the official park closing on select nights. 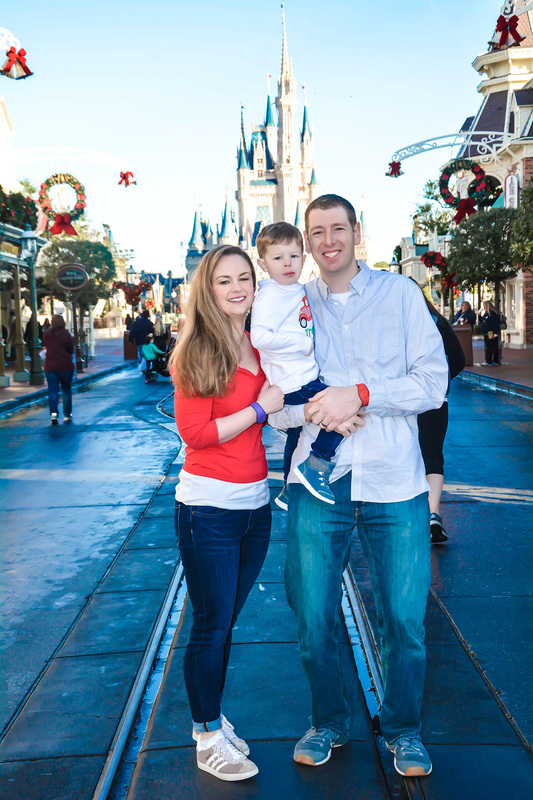 At first, Chris and I thought that Extra Magic Hours was an amazing benefit to staying at a Disney World hotel. Until we realized that everyone who stayed at a Disney hotel was taking advantage of Extra Magic Hours. Whatever park is offering Extra Magic Hours is always the most crowded park! So our best advice: check the Walt Disney World online calendar (or the My Disney Experience app) to find out which park is offering Extra Magic Hours. And then avoid that park! Best tip of all: If you have a Park Hopper ticket (a Disney admission ticket that allows guests to visit more than one park in a day), avoid the park offering Extra Magic Hours during the day. Then go to that park just for the two extra hours at night, when the crowds will definitely be lighter. Let’s now discuss another way to avoid the crowds at Disney World: pay extra! Disney now has several offerings for crowd-free experiences that are additional charges on top of basic Disney World park admission tickets. One option is Early Morning Magic. This limited-entry ticket allows guests to be among the first to enter a particular section of a Disney World park for one and half hours before the park opens to the public. Chris and I tried Early Morning Magic for the first time recently, and we loved it. 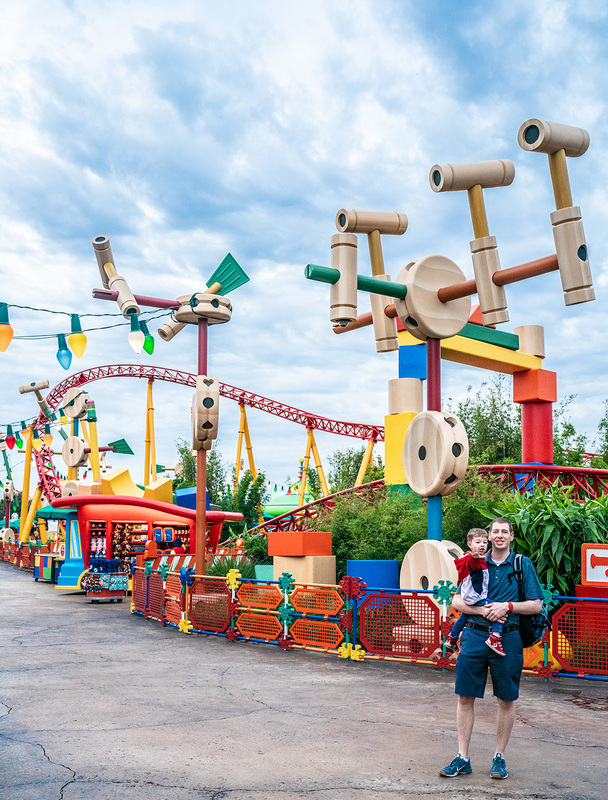 We did Toy Story Land Early Morning Magic. We waited in line for no more than 10 minutes to ride The Slinky Dog Dash roller coaster (this averages about a 90-minute wait time). And we didn’t wait in any lines for any of the other Toy Story rides. Plus, Toy Story Land was just wide open, peaceful and quiet. Based on our experience, we’d say Early Morning Magic is worth the cost. It’s an excellent option to help you avoid big crowds and long lines! 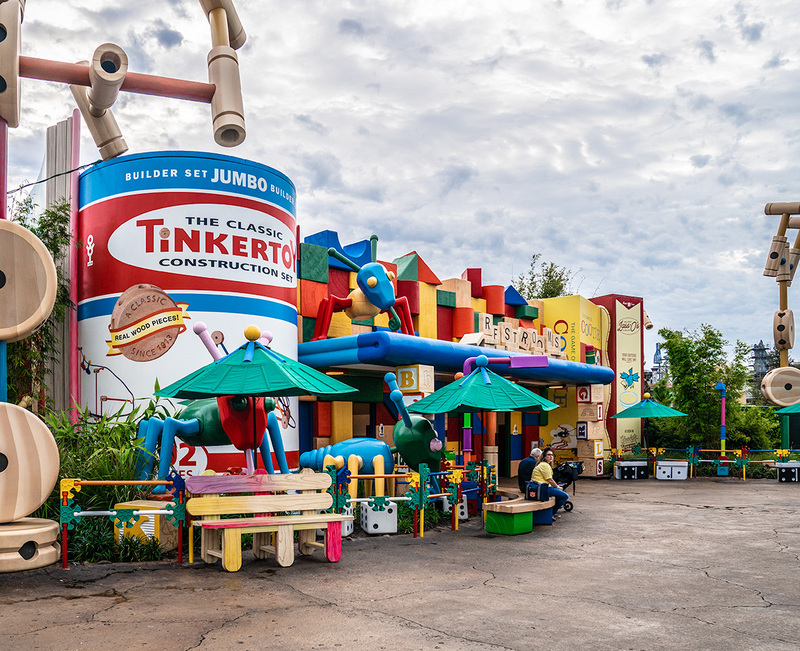 Check out our complete review of Toy Story Land Early Morning Magic. Above, we discussed how insane it can be to navigate through the crowds during a nighttime fireworks show at any of the Disney World parks. To stake claim to a prime, unobstructed view, you have to arrive up to an hour before the show and just …. wait. 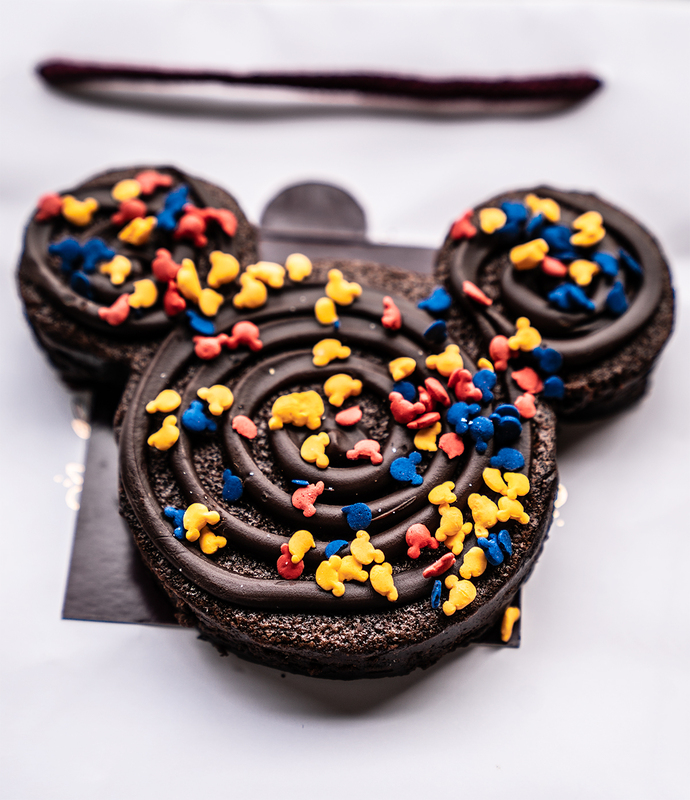 Another option is a Disney Dessert Party. These tickets (you must pay for park admission in addition to the dessert party) buy guests a private (and prime) viewing spot for nighttime fireworks shows. Plus access to a buffet of appetizers, desserts, and beverages. A dessert party is the one item on this list that Chris and I haven’t yet tried and therefore can’t personally recommend. But I wanted to include the Dessert Parties in this article because they’re a hugely popular way to avoid crowds at the nighttime shows. Fireworks Dessert Party – Located in the Magic Kingdom. 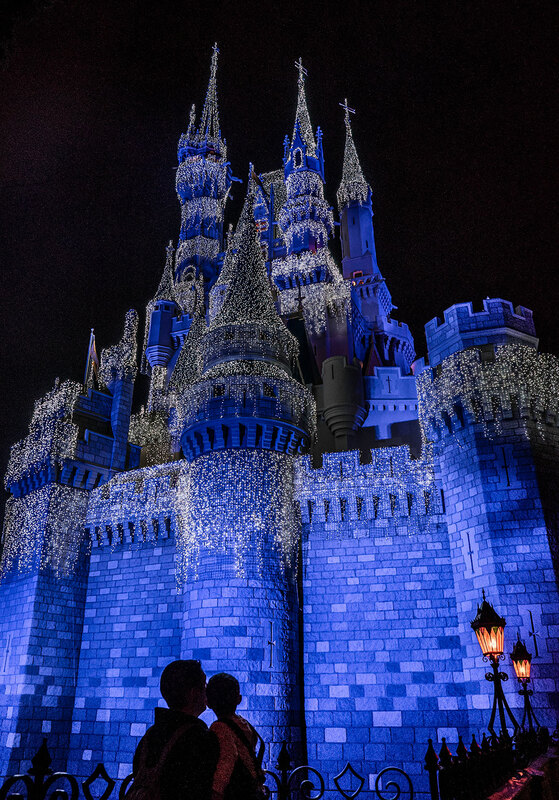 View the fireworks show over Cinderella Castle from reserved seating at either Plaza Garden or Tomorrowland Terrace. Frozen Ever After Sparkling Dessert Party – Located at Epcot. View the IllumiNations nighttime show from reserved seating, plus enjoy VIP admission on the new Frozen Ever After ride. Rivers of Light Dessert Party – Located at Disney’s Animal Kingdom. View the Rivers of Light nighttime show from reserved seating. Fantasmic! 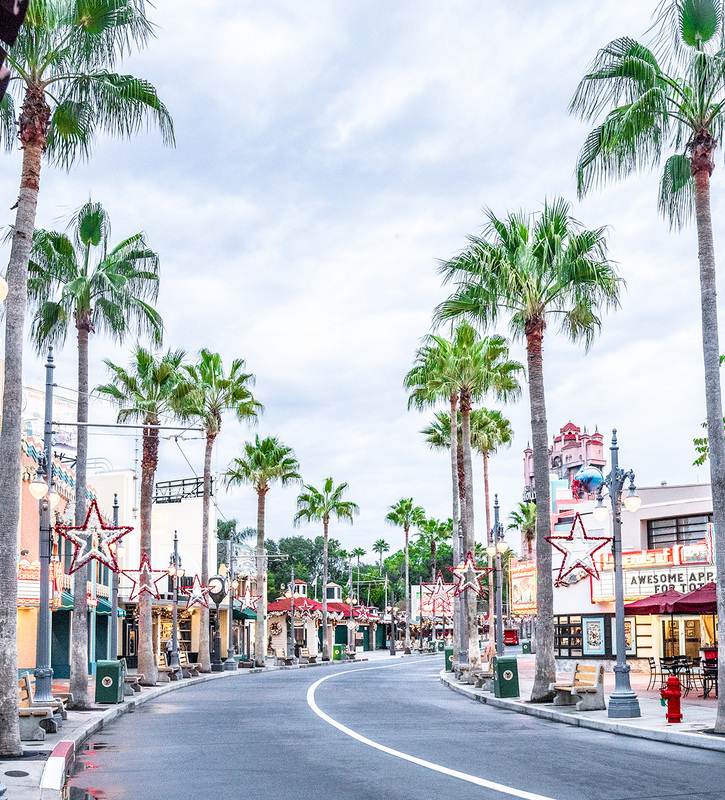 Dessert & VIP Viewing Experience – Located at Hollywood Studios. View the Fantasmic! nighttime show from reserved seating. Star Wars: A Galactic Spectacular Dessert Party – Located at Hollywood Studios. View the Star Wars nighttime show from reserved seating. 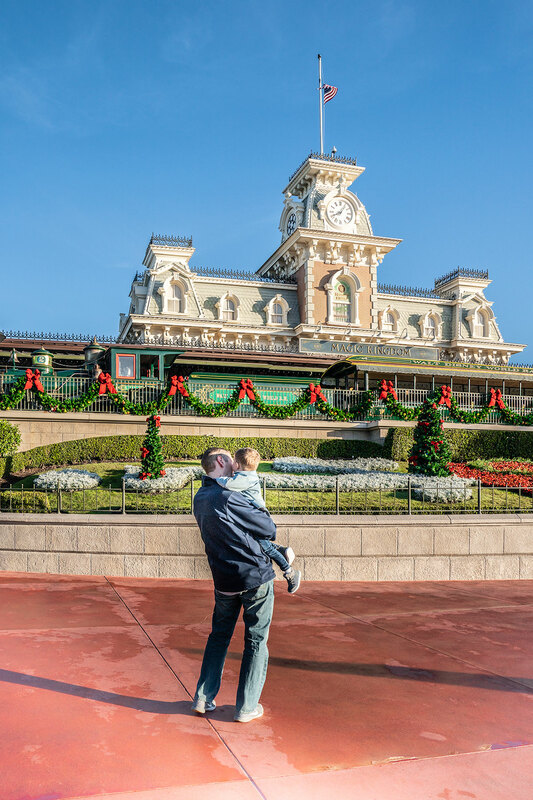 Two special ticketed holiday events at the Magic Kingdom promise fewer crowds. 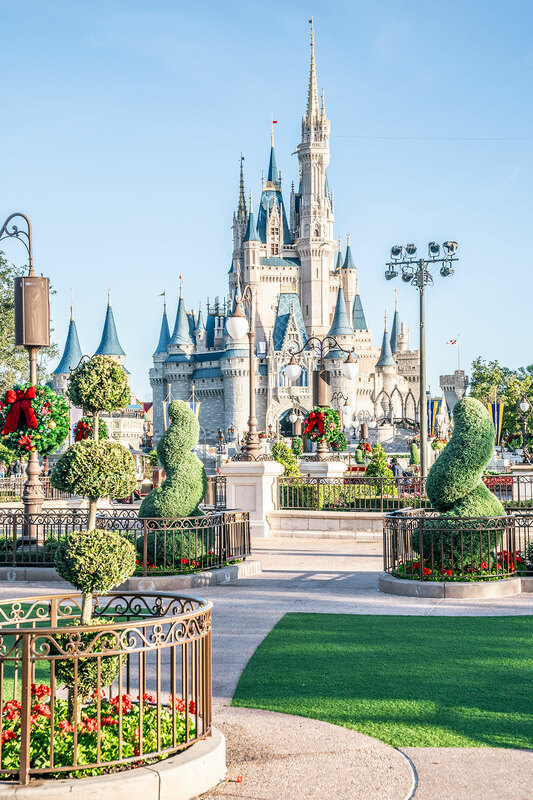 These special events (you must purchase tickets for the events, in addition to regular Magic Kingdom admission tickets) include lots of special shows, parades, and events. Plus lots of “free” cookies, beverages, and other treats throughout the park. A limited number of tickets are available for the parties, which typically run from about 4pm to midnight. 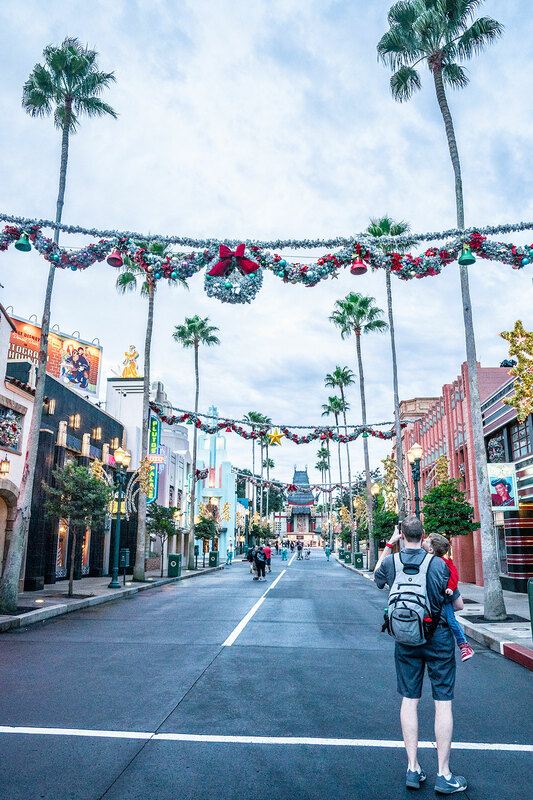 So you can expect fewer crowds and much shorter lines for rides (some smaller rides are closed for the holiday parties, but all of the most popular rides remain open). Over the past couple of years, Chris, Trevor and I have attended both the Halloween Party and the Christmas Party. We loved them both and highly recommend attending a holiday party! In addition to the shorter wait times for rides, there’s such a joyful, festive energy swirling throughout the Magic Kingdom. One Note: we found that the Magic Kingdom was still quite crowded at the start of the parties we attended. You’d need to stay until the event ends (usually at midnight) to really get a crowd-free experience.